The most wonderful time of the year is nearly upon us! Thanksgiving and Christmas are two of the best holidays, mostly because they both involve lots of yummy food. 😉 I’ve been busy in the kitchen this past week and I’m looking forward to sharing some fun sweets that will hopefully satisfy your holiday cravings this year! 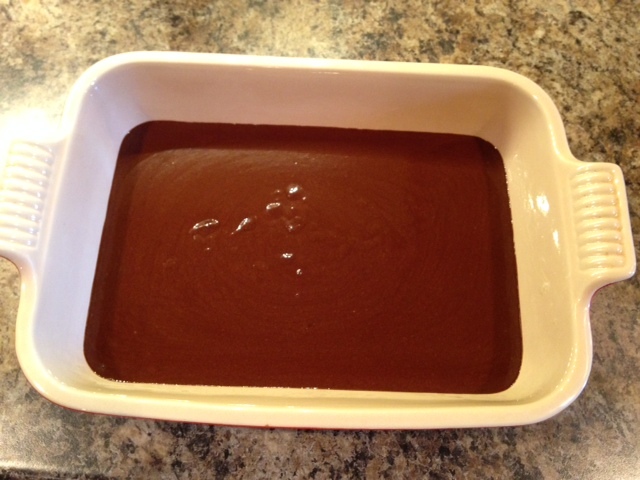 First up, Christmas Fudge! Fudge has always been a favorite for me and my hubby, but without fail seems to leave us feeling icky because it’s sooo rich with sugar. So I created a fun THM version and we are super satisfied and feel awesome after eating it! Start by mixing together cold unsweetened almond milk and unflavored gelatin together in a large bowl. I buy this kind of unflavored gelatin! (New to Swansons? Sign up here and get $5 off your order!) Already placing an order with Amazon to get free shipping? Buy Great Lakes unflavored gelatin here (affiliated link)! Once cream is hot and slightly bubbling, pour about 1/3 cup cream into the glass bowl with the egg yolk mixture. 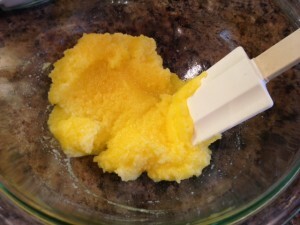 Whisk/stir egg yolks quickly. Then add egg yolk mixture to the small pot and cook over low heat until slightly thickened. Whisk continually for about 8 minutes. 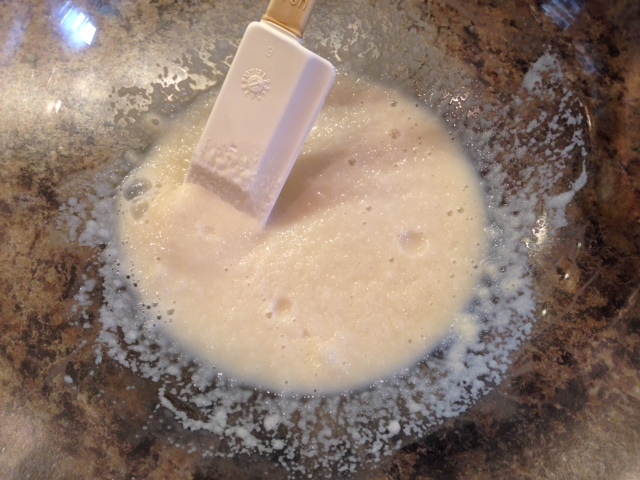 The cream/egg mixture should thicken. Chocolate will look a little grainy, but that’s ok. Pour chocolate into large glass bowl with the gelatin mixture and mix well. 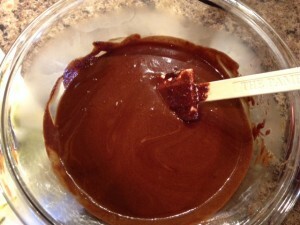 It should be smooth after mixing with the gelatin and almond milk. 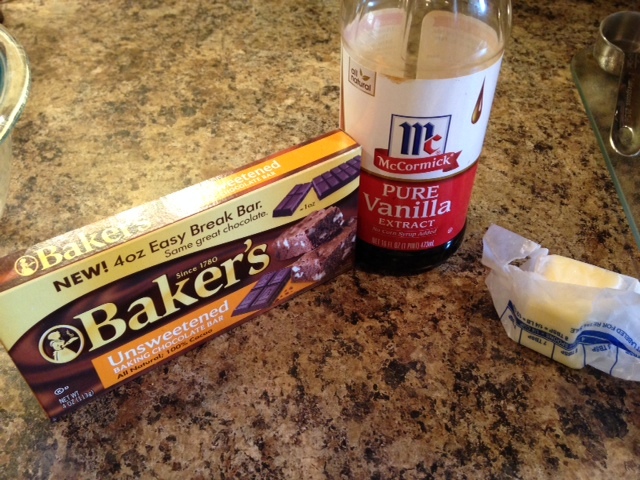 I then pour this into a 8×11 dish and stick in the fridge uncovered for about 3-5 hours or until solid. Then cover with plastic wrap. I love topping this with my absolutely delish Peanut Butter Fudge/Frosting! Start by mixing together cold unsweetened almond milk and unflavored gelatin together in a large bowl. 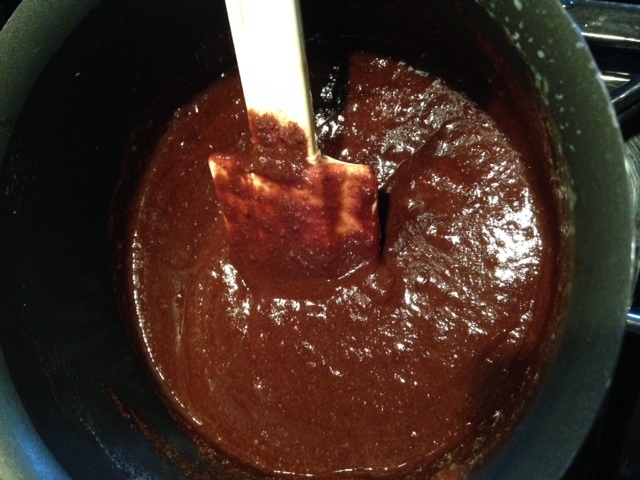 Once cream is hot and slightly bubbling, pour about ⅓ cup cream into the glass bowl with the egg yolk mixture. Whisk/stir egg yolks quickly. Then add egg yolk mixture to the small pot and cook over low heat until slightly thickened. Whisk continually for about 8 minutes. 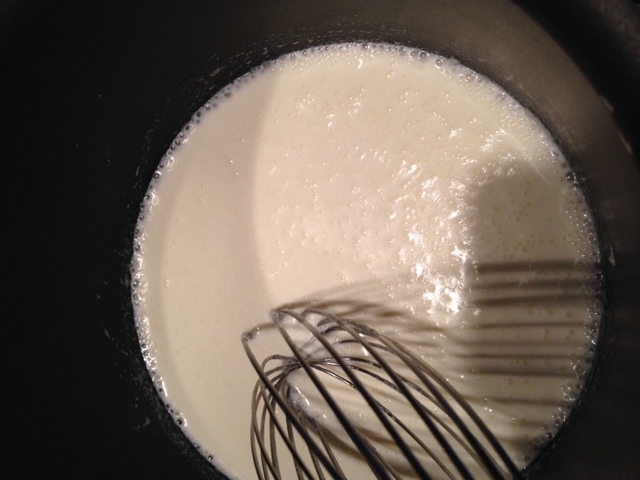 The cream/egg mixture should thicken. 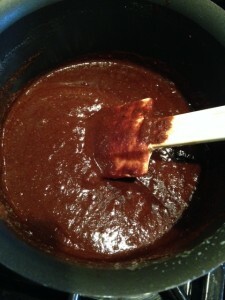 I then pour this into a 8x11 dish and stick in the fridge uncovered for about 3-5 hours or until solid. Then cover with plastic wrap. ← Cow Cheese only $1.50 at Publix Plus New Printable Coupons! Hey! 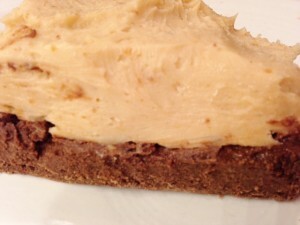 First, thank you for this great recipe! My hubby and I love it. With that said, I have a question. 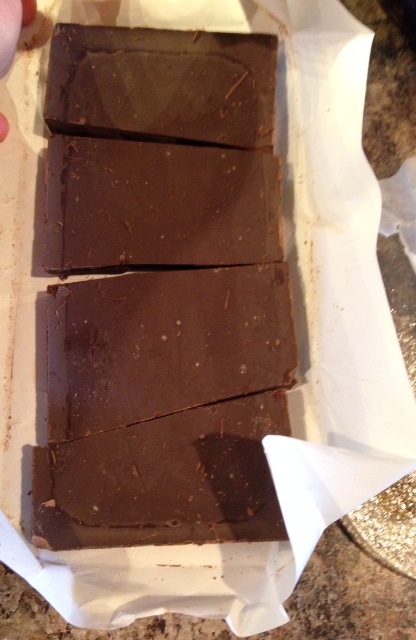 My fudge did set but it set “softly.” Is it supposed to be a soft set or hard like normal fudge? Hi Edith! I think the longer it stays in the fridge, the more firm it becomes. It will most likely begin softening up as soon as it leaves the fridge. You could also try sticking/keeping it in the freezer as well!